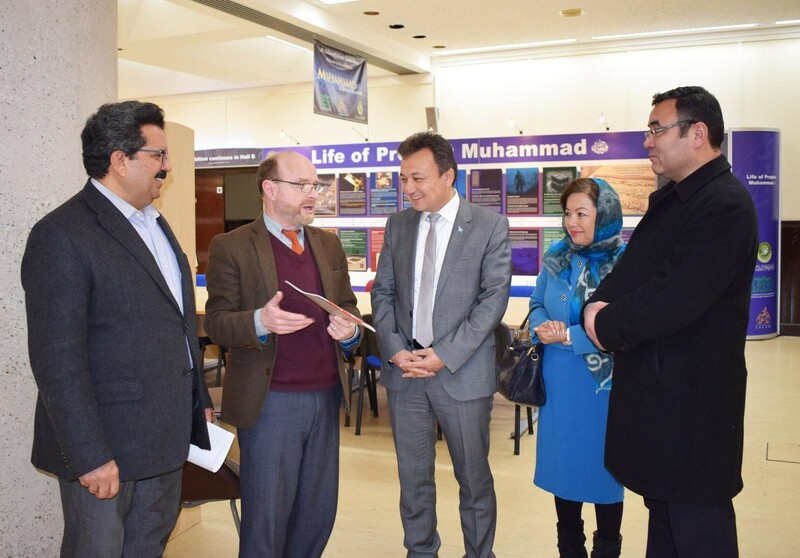 The President of the World Uyghur Congress, Mr. Dolkun Isa along with his delegation visited the Islamic Cultural Centre, London on Monday, the 21st of January, 2019 and met Dr. Ahmad al-Dubayan, the Director General of the London Central Mosque Trusts and the Islamic Cultural Centre and his staff at the Board Room of the Centre. Dr. al-Dubayan introduced the Islamic Cultural Centre and gave a brief history, background of the foundation of the Centre as well as the activities of the Mosque and the Centre. President Dolkun Isa then talked about the Chinese Cultural Revolution of 1966. There was ten years cultural revolution. “At that time lots of religious people were put in jail. People are talking about genocide, people talking of justice. May be, Hitler killed 20 million people or Stalin killed more than Hilter; but Mao Se Tung already killed 48 million people. But nobody was talking about this. He killed during Cultural Revolution time,” mentioned about Chinese Cultural Revolution period. President Isa talked about Muhammad Salih. “Muhammad Salih translated Qur’an in Uyghur language in 1980s by the order of the Chinese government. But thirty years later because of this job, he was put in the camps in November 2017 and two months later he died in the camp. He was 82-years old,” he mentioned. “It is the old tradition of the Turkestani people to fast during Ramadan. During the Ramadan time, all restaurants are closed; just open at Iftar time; but the government forced to open, you should open the restaurants during the daytime. Whoever closes the restaurant during the daytime in Ramadan, will have to close all the time. Their business will be closed. Plus they are forced to sell alcohol and cigarettes in all the Muslim restaurants,” he mentioned. “It is 21st century I tried to contact; communication is not the issue for the people. I am trying to contact world institutions how she was passed away? Still I did not have an idea about this. What was happening? She passed away in camps and I had no idea. International media rung the police station two three weeks later and I heard my mother was arrested one year ago; put her into concentration camps and she passed away nearly one year later. She was 78 years old lady. We believe in God, we believe in Allah; I can meet her in the next life. My father is 90 years old but I had no idea whether he is alive or dead. No news coming; no news,” lamented Isa. What type of re-education is this? “But if you compare the situations of Muslims with some other religious groups; it is unbelievable; because Chinese government say Islam is illness; yes, they openly say this. Islam is illness and this illness must be eradicated; it is a slogan,” mentioned WUC President Isa.